HOUSTON – September 27, 2016 – Magpies Gifts and eco-conscious jewelry line Alex and Ani brought community members together Sept. 8 in support of a cause that quite literally saves lives — the American Foundation for Suicide Prevention. The American Foundation for Suicide Prevention is the leading national nonprofit organization exclusively dedicated to understanding and preventing suicide through research, education and advocacy. Since its start in 1987, the organization has established chapters in all 50 U.S. states and reached thousands of individuals at risk of suicidal behavior. 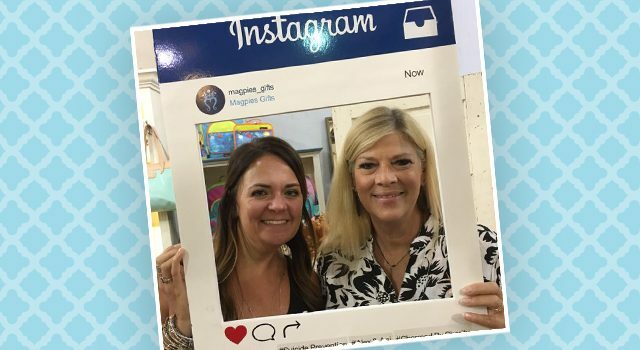 Throughout the two-hour shopping night at Magpies’ Sugar Land location, guests enjoyed snacks, shopped brands such as Alex and Ani and visited with fellow shoppers. Fifteen percent of the evening’s sales, or $769 total, went to the foundation. Megan Beauchamp, one of Magpies’ co-owners, said she regards the store as more than a place to shop. For many people, it’s a safe place to laugh, cry and talk through life’s biggest issues. Beauchamp said she and her fellow owners are always looking for ways to positively impact the communities they call home. Charmed by Charity was a chance for community members to join together for a night of shopping and friendship in support of the American Foundation for Suicide Prevention. Pictured are Alex and Ani representative Jill Kimbrough, left, and Magpies employee Debbie Inman. 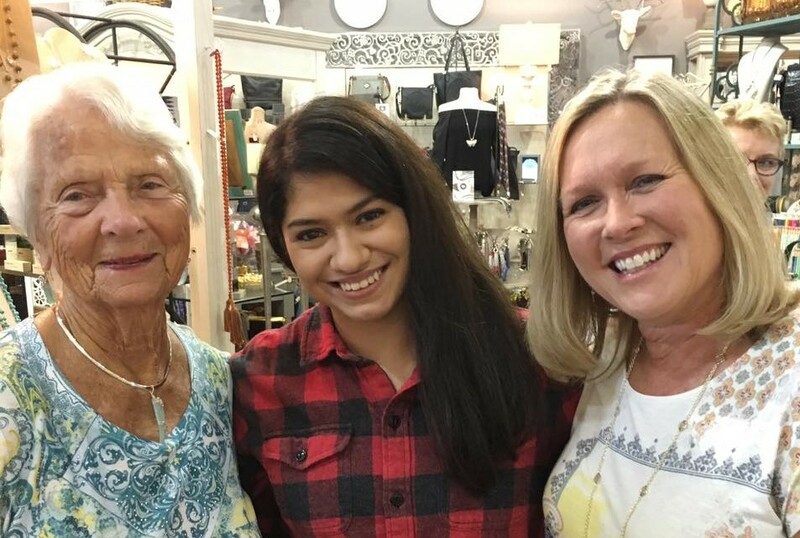 The community came together Sept. 8 at Magpies Gifts for a night of shopping in support of a worthy cause. Pictured, from left, are shoppers Joyce Lonati, Sarah Perello and Sunday Coffman. 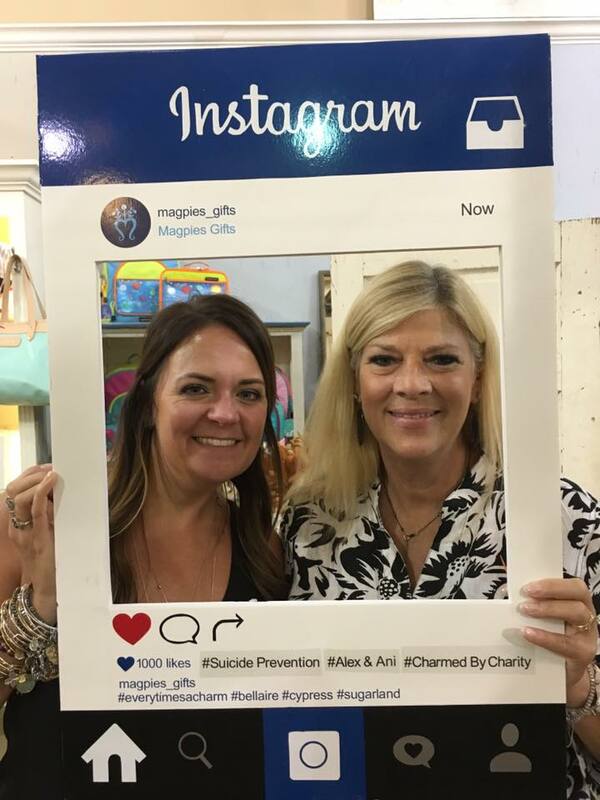 Established in November 1984, Magpies Gifts is a family-owned boutique with locations in Bellaire, Cypress and Sugar Land, Texas. The shop’s name is a nod to both co-founder Maggie Farrar, and to the bird itself. In folklore, the magpie taught the other birds how to build nests and is known for incorporating shiny, pretty details into its home. With beautiful accessories, home décor items and unique gifts you won’t find anywhere else, at Magpies, every time’s a charm. To learn more, visit magpiesgifts.com or call 281.277.9777.